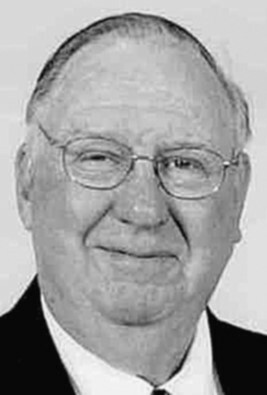 J. Norman Mayer, 79, of Hagerstown, Md., passed away Tuesday, March 29, 2011, at his home. Born Wednesday, March 2, 1932, in Cresson, Pa., he was the son of the late Francis Nelson Mayer and the late Mary Marjorie Glass Mayer. He graduated in 1949 from Altoona High School. He then graduated from Buffalo Bible Institute/Houghton College in 1958. Upon graduation, he was ordained into the gospel ministry. He was a minister at many churches, including Altoona Bible Church, West Wyomissing Chapel, and Hagerstown Independent Church. He retired in 1997 from Calvary Grace Brethren Church. He also attended Narramore School of Psychology in Rosemead, Calif. He was involved in radio and TV ministry from 1962 until 2010. He was involved with the Eastern Ministerial Union of Central Pennsylvania. With two other ministers, Norm helped inaugurate the Washington County Fundamental Ministers Association and served on the board for the Gospel Mission of South America. He was a true teacher of the gospel and in higher educational institutions for the local communities. He was actively involved in the Washington County community for many years with the Hagerstown Fire Police and with sports officiating. He was a member of the Mason-Dixon Chorus and Rotary Club. From 1995 until 2010 he drove limousines, vans and funeral coaches for Kerfoot Livery Service and also for Classic Limousines. He is survived by his wife of 61 years, Dorothy Rhodes Mayer; daughter, Dorothy Ruth Upton, of Hagerstown; two sons, James Norman Mayer and wife, Kristin, of Mount Joy, Pa., and Joel Nelson Mayer and wife, Denise, of Kansas City, Mo. ; sister, Marjorie Anne Hudson of Taylor, Mich.; brother, Gene Nelson Mayer of Hagerstown; seven grandchildren, Richard Upton, Lindsay Spreadbury, Melody Mayer, Nicole Reitz, Christopher, Nathaniel and Benjamin Mayer; five great-grandchildren, Brittany and Brooke Upton, Oliver, Karen and Tedric Reitz; and many other close relatives. He was preceded in death by son-in-law Ronald Upton. Services will be held Saturday, April 2, 2011, at 10:30 a.m. at the Douglas A. Fiery Funeral Home, 1331 Eastern Blvd. North, Hagerstown MD 21742, with the Rev. Douglas A. Courter officiating. Family will receive friends at the funeral home from 5:30 to 8:30 p.m. Friday, April 1. At Norm’s request, inurnment will be private and at the convenience of the family. Online condolences may be expressed at www.douglasfiery.com. It was my honor to hold a week (Sunday through Sunday) of Revival Services for Normwhen he was pastor at Calvary Grace in Hagerstown, MD He was an outstanding pastor who knew his Bible like a high tech on a computer. He loved to preach the Word. I will miss my dear friend, until all of God's friends are finally home.